Robert Frank, Cocksucker Blues, 1972, 16 mm, color and black- and-white, sound, 93 minutes. Mick Jagger. Photo: Photofest. As the “world’s greatest rock ’n’ roll band” celebrates its golden jubilee this year, the Museum of Modern Art in New York pays tribute with a heady cinematic survey: “THE ROLLING STONES: 50 YEARS OF FILM” (NOVEMBER 15–DECEMBER 2). But 2012 marks another anniversary as well. 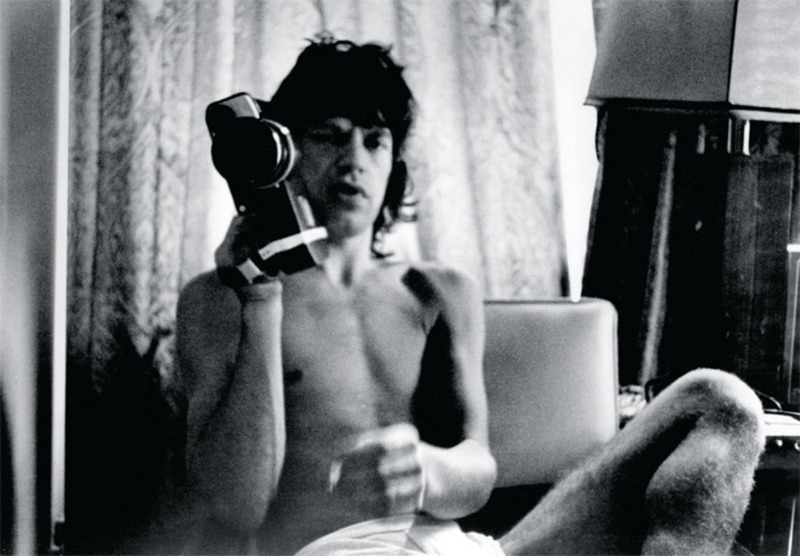 Forty years ago, the Stones embarked on a legendary tour to promote their new album, Exile on Main St., and they engaged two very different filmmakersRobert Frank and Rollin Binzerto document the affair on celluloid, producing wildly divergent results: Cocksucker Blues and Ladies and Gentlemen: The Rolling Stones, respectively. Film historian DAVID E. JAMES traces the events that would ultimately transform the band’s extraordinary engagement with the mediumand with the very public on which not only their stardom but their cultural significance depended.